O que é um passeio de trilha competitivo? A cavalgada competitivo não é uma corrida. 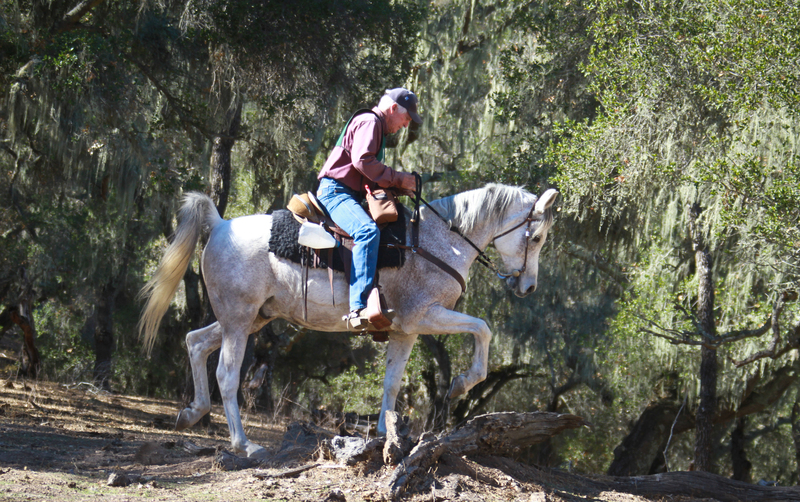 É uma cronometrada, competition on a natural trail usually on a private ranch. 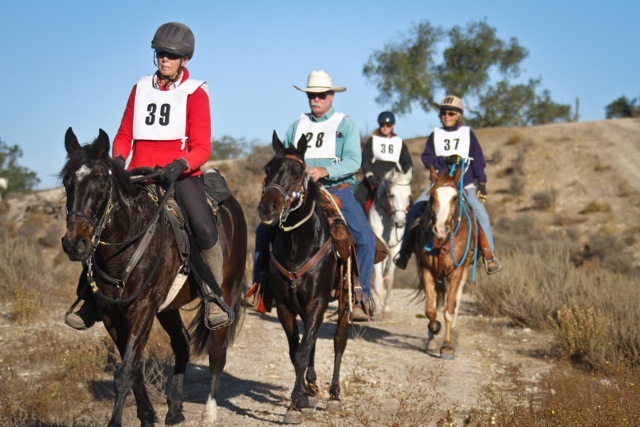 There are different divisions and each goes at a different speed or pace and you are given a certain amount of time to complete the ride each day. If you complete your mileage too soon (Ou seja, você montou para rápido ou correu) you get deducted points for each minute that you came in to soon on your score cards. 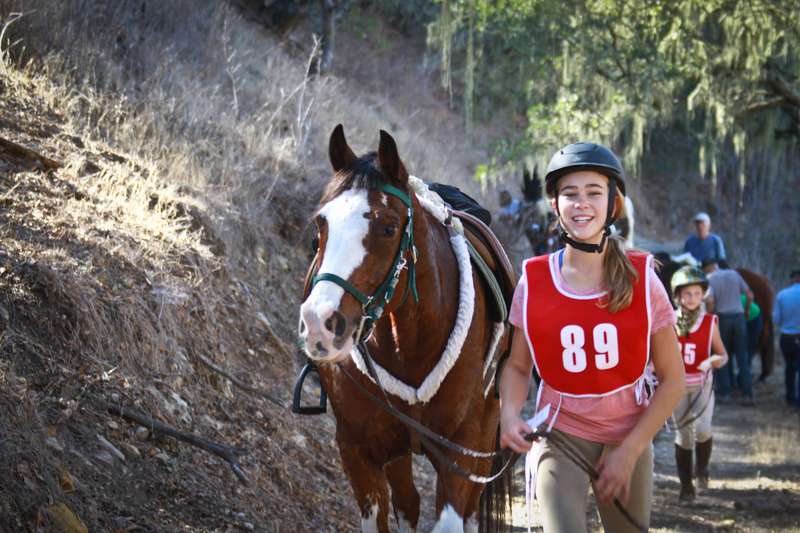 Novice is timed at a walk going 3.1 para 4.0 miles per hour depending on terrain. To give you an idea, meu árabe anda 3.6 mph e, em média, cerca de 3.3 mph durante um 24 miles distance at the walk. Open is timed with some trotting at 4.1 para 5.5 miles per hour. 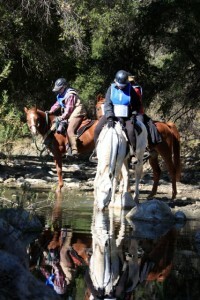 You are judged on your ability to work as a team with your horse, and the physical condition of your horse. All obstacles used for judging must be natural and not created (como lonas, jaquetas ou cordas). 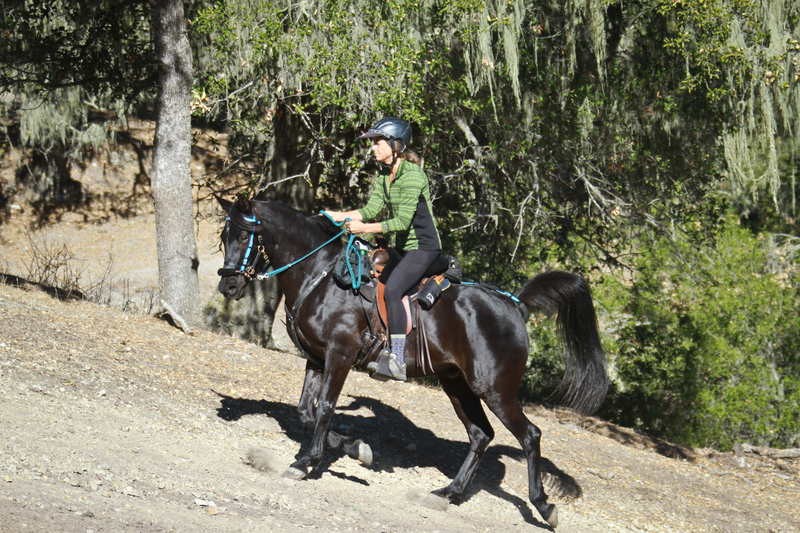 It is a great way to build a partnership with your horse through training and conditioning. 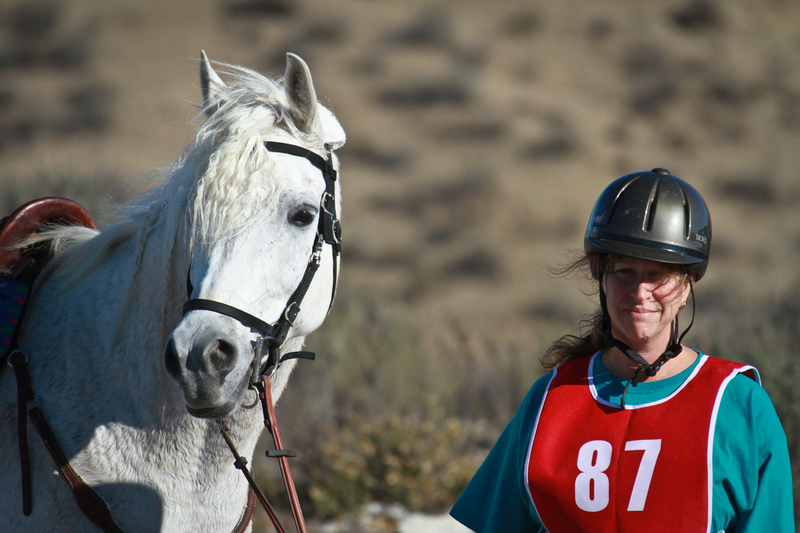 It educates horse and rider to continually advance their skills and horsemanship. Pista de equitação competitiva é uma atividade de grande família. Crianças com idades compreendidas entre 10 ou mais podem competir. Os pais podem ir com seus filhos concorrentes. 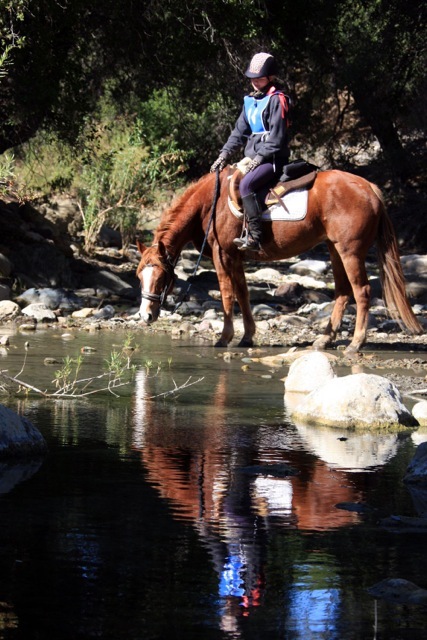 There is also an Introductory Ride for those people that want to see what competitive trail riding is about but do not want to go the longer miles. 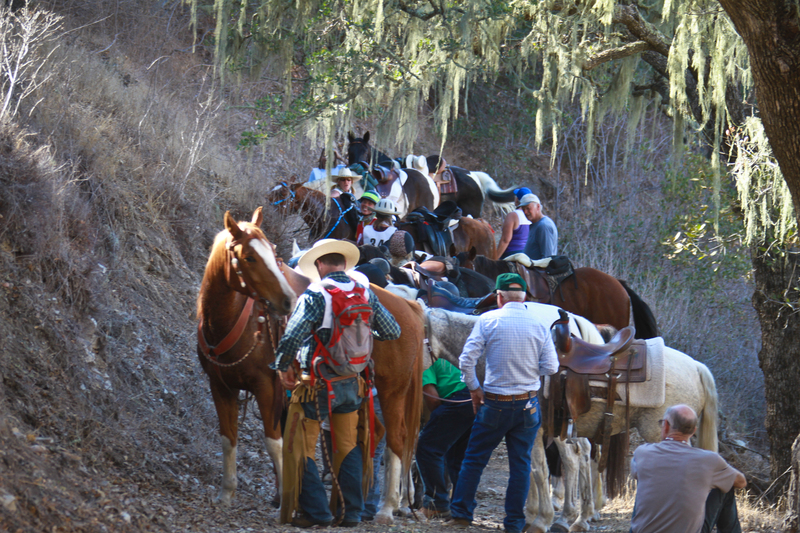 These rides are 10 - 14 miles and are at a walk. 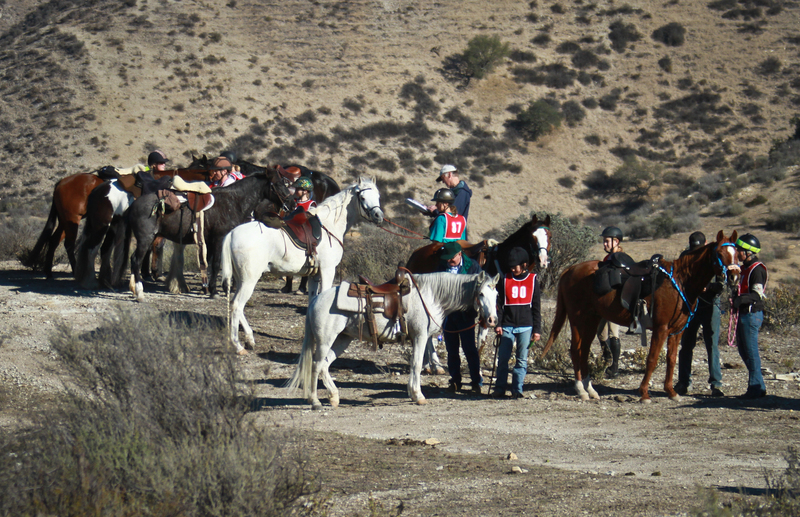 These riders are paced the same as novice, mas não se marcou. 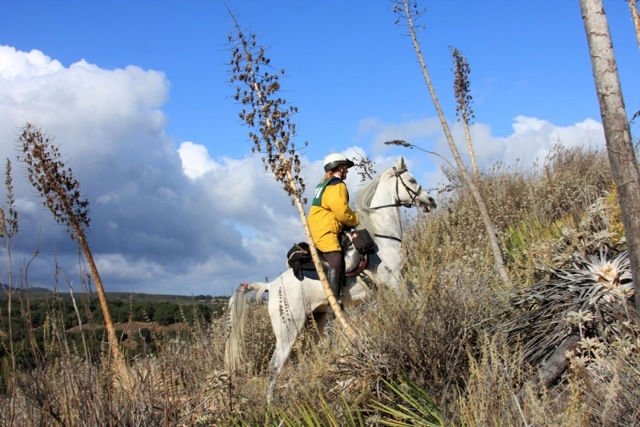 Competitiva Trail Riding incentiva uma verdadeira parceria entre cavalo e cavaleiro. 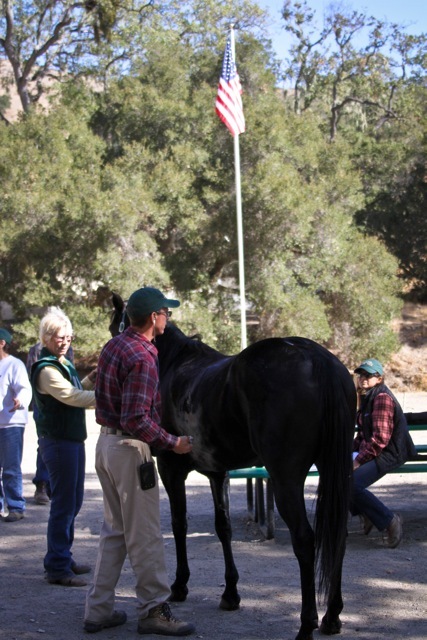 It focuses on the health and safety of the horse while helping riders learn to care for the horse without artificial aides. 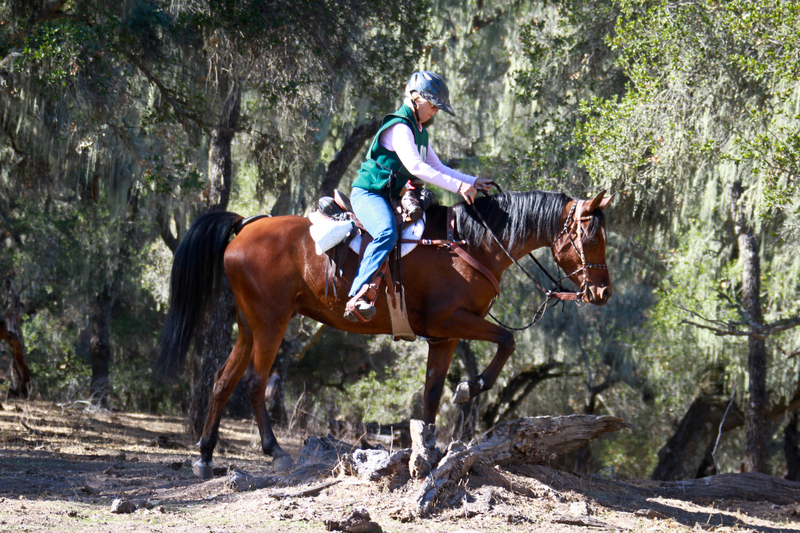 The rider is judged by a horsemanship judge on stabling and care of horse, como você monta na sela, helping your horse through obstacles and how you handle your horse on the ground. 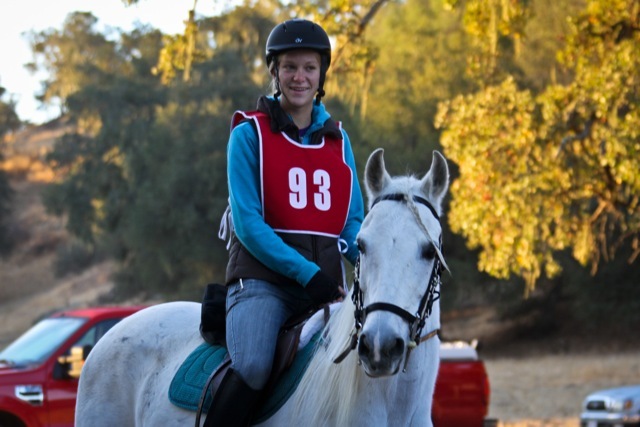 Your horse’s condition, soundness and performance are judged by a veterinarian judge. 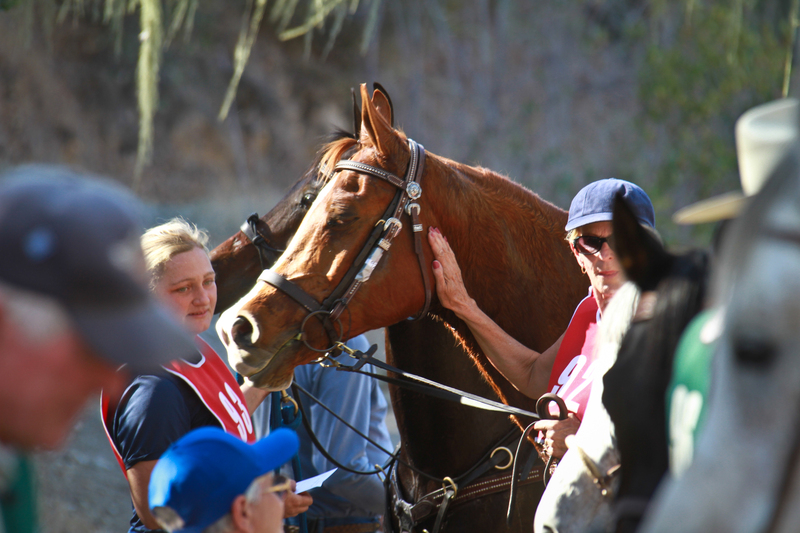 Your horse will get a Vet check the day before the ride and each day after the ride. 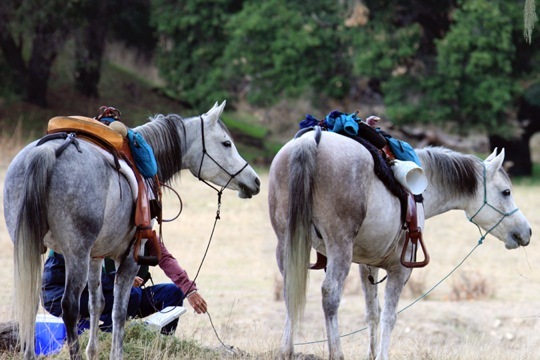 There will also be Vet checks along the trail to insure that your horse is remaining sound through the ride. 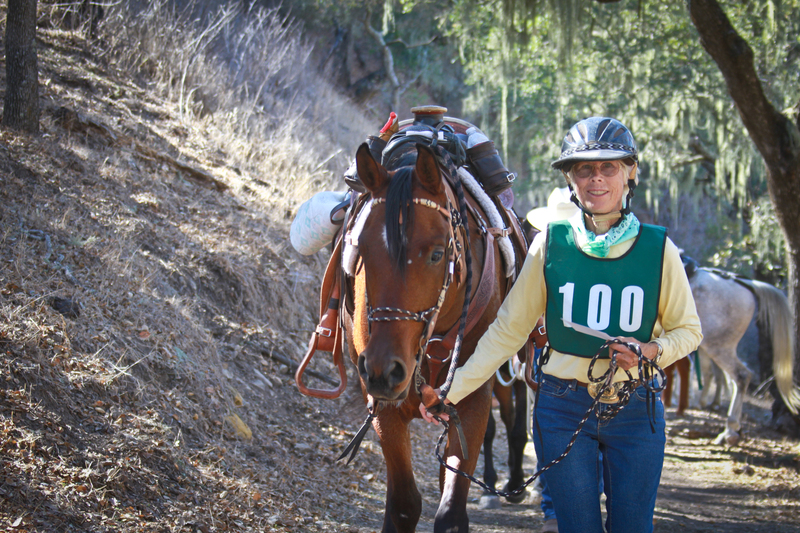 P&R teams take the pulse and respiration of horses on the trail to make sure that they are capable to continue to do the ride. 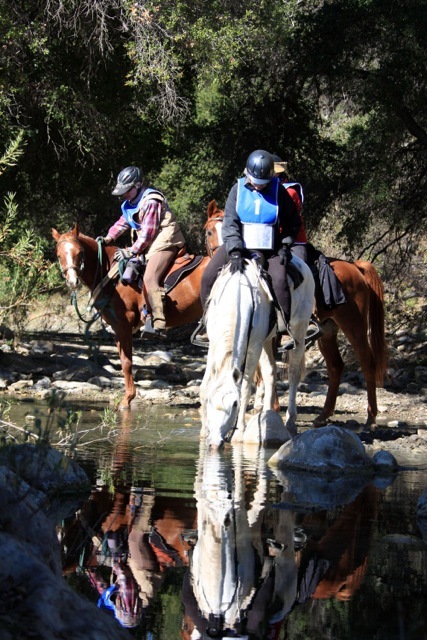 If at any time a horse or rider is not able to continue we will trailer out the both the rider and horse to camp (ou clínica veterinária, se necessário). Pilotos novatos e abertos podem usar as mesmas trilhas, mas você não quer ter pilotos vindo para o outro a partir de diferentes direções. Deve haver elevações (sobe) que pode desafiar a condição de um cavalo. P&Equipes e Veterinários R estará em 3 diferentes pontos ao longo do passeio para executar verificações de veterinário em cavalos. Acomodações – terá de 20 para 50 horse trailers that will need to be parked in the same area. 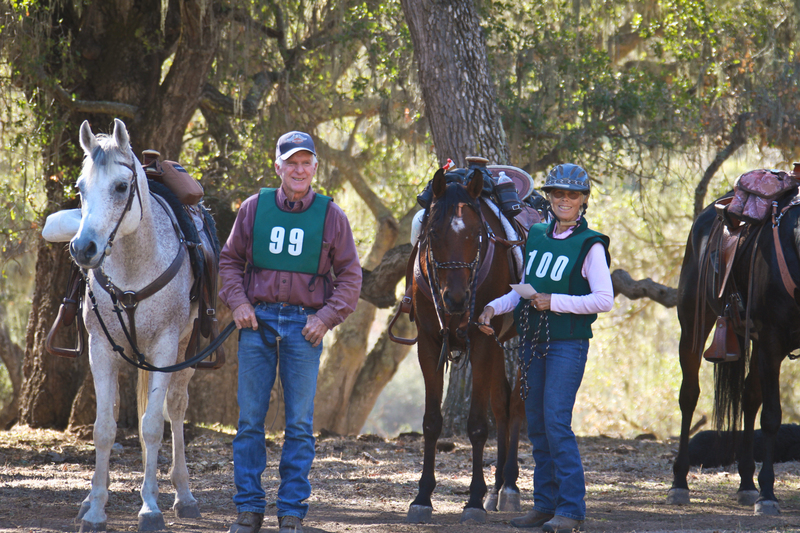 Horses will be tied to trailer or highlined unless there is enough stalls or corrals to accommodate all horses. Riders vai chegar na sexta-feira e, mais vai sair no domingo - não há talvez um pouco que vai querer sair na segunda-feira. Um ponto estará disponível para as assembleias gerais dos grupos de pré-passeio e prêmios.